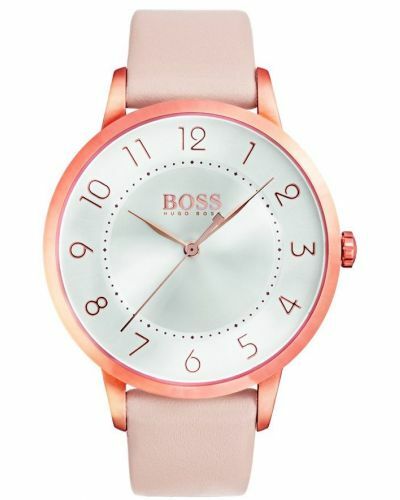 Bought to you by Hugo Boss; this Eclipse watch features a stunning white dial with bold numbers around the face and delicate silver batons. With a stainless steel case and bold pure white leather strap this watch is sure to make your wrist a focal point. Designed with comfort and style in mind; the Eclipse watch is Quartz powered and is water resistant up to 30 meters. The dial is protected by mineral glass. 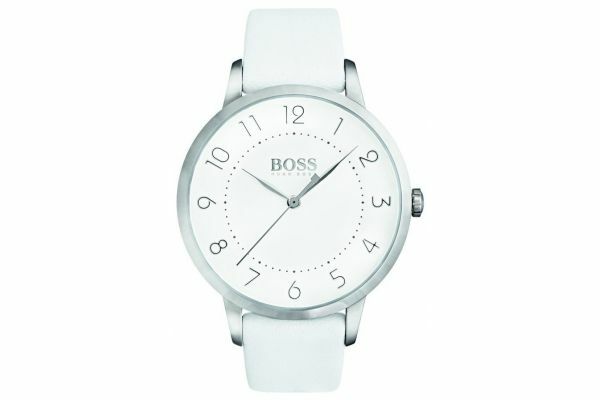 Simplistic yet elegant in design the Hugo Boss Eclipse watch is ideal for day to day wear. For us to size your new Hugo Boss Eclipse watch as accurately as possible, please take a look at our downloadable Watch Sizing Guide.